Select the "Register As A Buyer" button and fill out and submit the registration form. You will receive a confirmation message with your temporary buyer’s badge and further instructions. If your company address is located outside of the United States, select the “International Companies” button to register your company. FREE Admission For Registered Buyers. Registration Required For Entry. Park In The Self-Parking Garage For Guests Of The Mirage Hotel. Select the buttons below to view listing and floor plan. Kick Off Jewelry Week 2019 With GLDA! Visit us during Las Vegas Jewelry Week when merchandisers, jewelry designers and retailers flock to 'Sin City' to stock up on jewelry, gemstones and supplies. The GLDA Gem & Jewelry Show offers a variety of wholesale vendors carrying fine jewelry, diamonds, gemstones, pearls, beads, handcrafted art, minerals, crystals and much more! 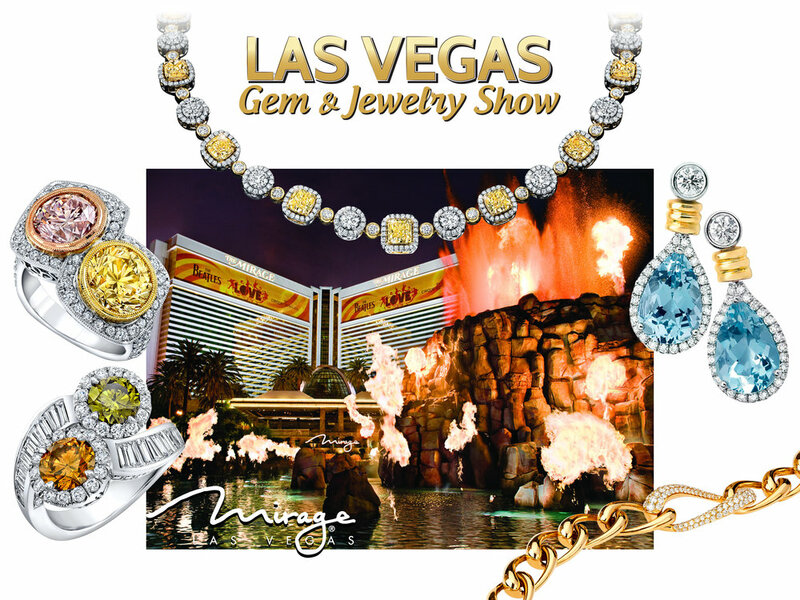 With FREE admission, complimentary refreshments and special room rates at the Mirage Hotel, you just can't miss this jewelry and merchandising event!